I have finished my diploma & my life is a mess. I woke up every morning and keep repeating doing the same thing almost everyday. These are some things I am into right now due to my jobless life. If you ever watch this drama, I would definitely confirm you are not going to miss it. If you haven’t you will be saying that this is definitely not your type of drama. But honestly, I really love Philippines drama a lot, same goes to their funky love story movie! I watched a lot of Filipino movies and I will be doing reviews later! Btw this movie is all about a man who has mistress which is his wife’s best friend. There are a lot of conflicts that this married couple have to face, there are a lot of misunderstanding occur in this drama. I would definitely recommend you guys to watch it. If you are really going to start watching this drama, I bet you’re going to puzzle a lot cuz you miss all the important parts, but hold on guys, the drama is not over yet. Watch it on your screen every Monday to Thurday at 3 pm. This drama is go-to drama I swear. I bet most of you guys watch this drama as well because it is overly good & the flow of this drama is really tense. I swear a lot while watching this movie because I am immersed by the drama. This is the most trending drama at the moment and I know this drama could be the best drama for now. If you never watch this drama, well this drama is starring by Zahirah Macwilson and Shahrul Ridzwan as the main actors. The perfection of the story is quite different from other drama, where a married couple went through a lot because of the third person. Sounds normal & typical, but watch it & you will know how tense it is. The drama however has ended yesterday! Wow, another drama? Yes. I am so into drama nowadays because there’s nothing I can do at home, apart from doing house chores, cooking & sleeping. Okay, I will tell you later my daily routine since I finished my diploma apart from looking for a job. This drama is starred by Nina Iskandar and Shukri Yahya, a continued story from Andainya Takdir. I watch every episode of Andainya Takdir & I don’t want to miss the chance to watch the second season of it because I like the drama as well, but yes the first season is damn better than Andainya Takdir 2 but it’s not that bad. But, I am not just looking for the flow but also the lessons I could get from the drama, especially about jealousy. That’s the reason why I follow up this drama until now. The drama however has ended last week on Thursday. Hello, never once in my entire life that I ain’t into my bed cuz my bed is the most comfy place ever. I blog on my bed instead of my study table, I watch drama on my bed, I reply texts on my bed, I put lotion while sitting on my bed, I pack my customers order on my bed & I even take flatlay pictures on my freaking comfy bed. Tell me where did I miss? Honestly, I don’t really spend much time on my bed before but something hit my life & I could do nothing about it. I just need some ‘me-time’ but I do think this is the right time for me to find a proper job. But again, my bed is a place for everything! I am now ultimately insecure with those pretty & perfect skin other girls out there have. I feel like my skin is not good enough to go out with bare skin. I am now looking & trying my best to keep a very detailed skincare routine to improve my skin performance. I am now trying & still looking for the best product that I would invest to get my skin better. Well I have oily skin concern & I beg you guys to suggest me toner & serum that suits my skin concern. Because I have toner before which is very acidic & makes my face rashes a bit, so I hope you guys can suggest me drugstores or any pocket-friendly toner & serum! 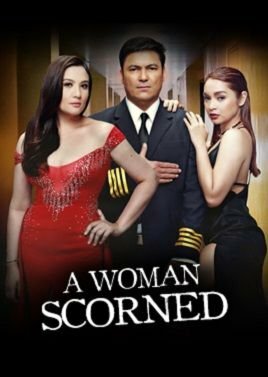 I sometimes watch philippines movies too! They have so grabbing plot but since Im working on weekdays its hard to watch tv nowadays and yeah missed all the good stuff on tv. Haha. I hate how Malay dramas now love to air a drama about cheating husbands I hate it actually. Talking about Marian Rivera, I miss her too!!! Definitely the queen of actress in Philippines. It's been a while since I last watched Philippine's dramas.